The anxiously awaited Manila International Auto Show 2016 is just a couple of days away and with the countdown, automakers are gearing up to put a good show altogether to make a big hit like previous times. 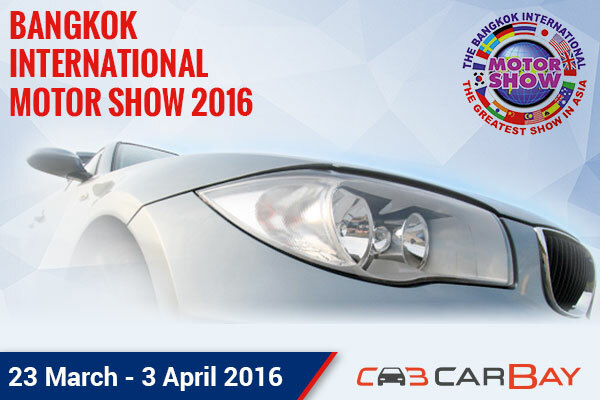 But, before we land up to this auto event happening between 7th - 10th April 2016, there is one more show which carries the same weight in terms of launches, bookings and footfalls. Yes! 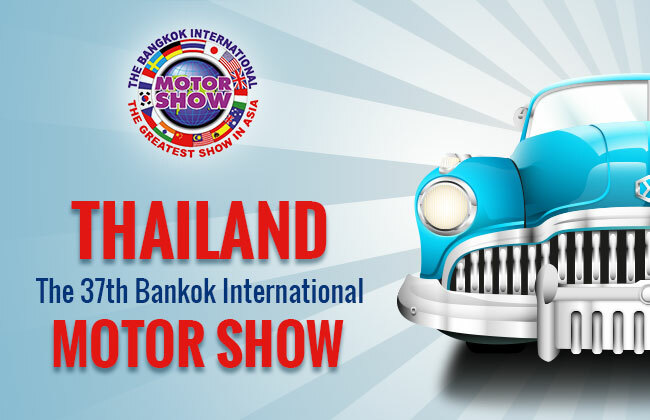 We are talking about the 37th Bangkok International Motor Show scheduled from 23rd March to 3rd April 2016 which has already snatched the focus of auto manufacturers and petrol heads from World Trade Center Metro Manila to IMPACT Exhibition & Convention Center, Bangkok. 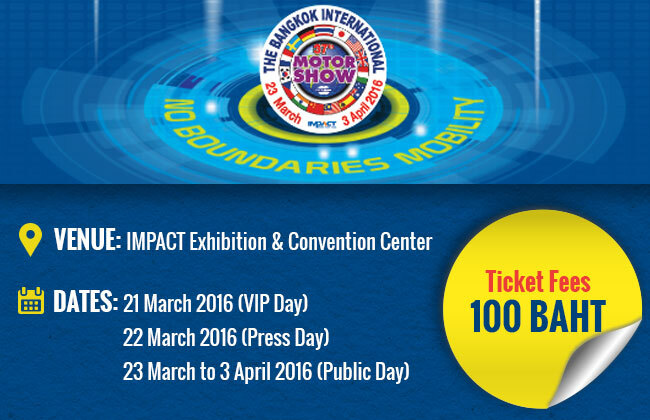 Thailand is hosting this auto event right before MIAS 2016 and this is taken with mixed feelings because there would be fewer surprises and first looks are left to be unveiled at the MIAS 2016 but the prospective Filipino customers may make up their minds to visit the show for booking of their favorite cars. 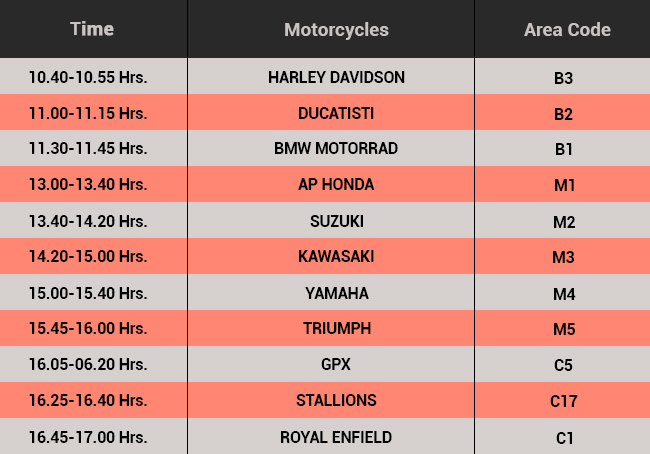 The upcoming BMS 2016 is not just for car lovers but also for bikers and as per the latest checklist, approximately 40 prominent manufacturers along with 200 exhibitors have nodded to mark their attendance at the 37th Bangkok International Motor Show along with their latest fleet. During a recent press conference, Grand Prix International Public Company Limited, which is responsible for organizing this auto event, announced that this year, the show will carry the theme of “NO BOUNDARIES LIMITED” which would reflect the cutting edge growth of the international automotive industry during the past decade with the world class innovations crossing all the limitations. This event will be inaugurated by Dr. Prachin Eamlumnow - the President and Executive Chairman of Grand Prix International Public Company Limited on 21st March 2016 which is reserved exclusively for VIPs while the second day is for the media personnel. BMS 2016 is taken as a preview of MIAS 2016 and so all the scheduled launches and showcases are under a close eye of the auto critics. Honda Civic 2016, Toyota TRD Sportivo, Honda Accord 2016 and Toyota Land Cruiser 2016 are the most anticipated launches for the Philippines' automotive market and may show their face a little early at the BMS 2016. 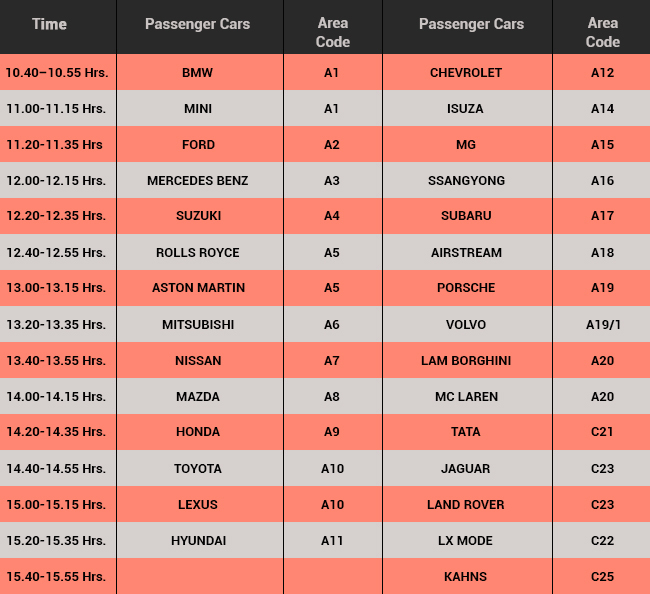 So, if you are someone who wants to have an early glimpse of the drives scheduled to arrive at the MIAS 2016, check out the BMS 2016 grounds.